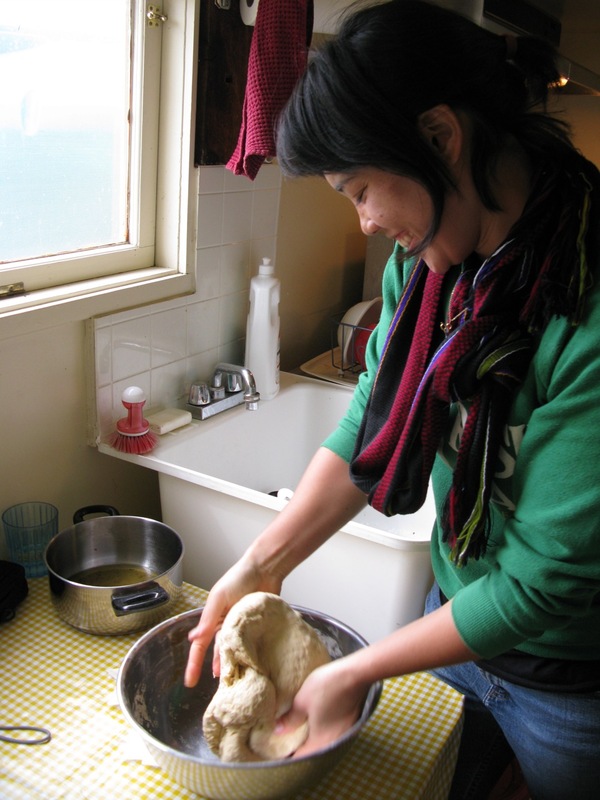 Jess's Many Mini Adventures in Food and Farming: Our very first Peewee! 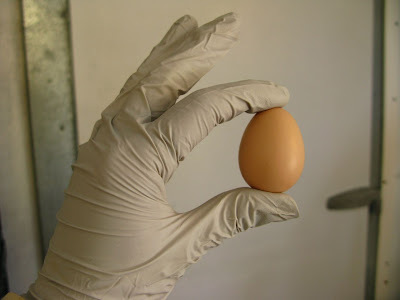 Last Friday our newest cohort of laying hens laid their first peewee egg and it was perfectly shaped and adorable. 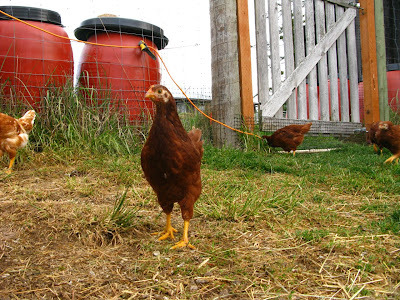 Young female chickens are called pullets. Our pullets are Rhode Island Reds, just like the rest of the flock, and they're around 5 months old, just the age to begin popping out eggs. Apparently, many chickens lay misshapen, funky creations when they first start out, but all we've had so far is three perfectly proportioned, if mini, eggs. Some farmers purport that peewee eggs are the best eggs. I haven't yet cracked my peewee, and I guess by now it's already past the peak of freshness, but I can see why people might jump on that bandwagon since things like mini carrots and mini zucchinis and other small foods seem to be quite popular (much to the dismay of Farmer Susan, who rightly thinks it's a waste of the plant's potential, of bed space and nutritious soil). But there's a short window between peewees and the major leagues (USDA medium, large, and jumbo eggs): only 3-4 more weeks from first peewee to those eggs you find in grocery store cartons. In the meantime, perhaps I should be hoarding all the tiny eggs I can find and popping them like vitamins, kinda like this guy.